Congratulations "frankieandme"! 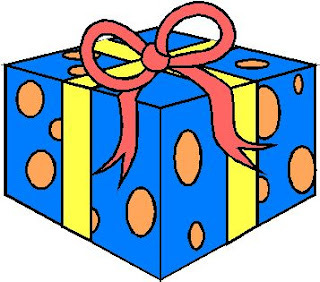 You are the lucky winner of the quilt kit! It is ready and waiting to be picked up at your convenience. Send us an email or call so we know that you have seen this post! Oh, and we wanted to let you know that the UPS truck just pulled up to our back door and our UPS man has dropped off 30 new bolts of Civil War fabric just in time for your Labor Day sewing marathons! Don't forget the store will be closed Saturday, September 1st through Monday, September 3 for Labor Day. Plan ahead and pick up everything you need for your sewing projects before the holiday! Don't forget to enter the drawing by signing up to be a member of our blog! On August 27th we will be holding the drawing for the give away quilt kit! All you need to do to be in the running is sign up to follow our blog! Look to the right and you will find the blue button that says, "Join this site". Click on it and follow the steps to become a member. Then on August 27th we will put all members/followers names into a hat and draw the lucky winner's name. 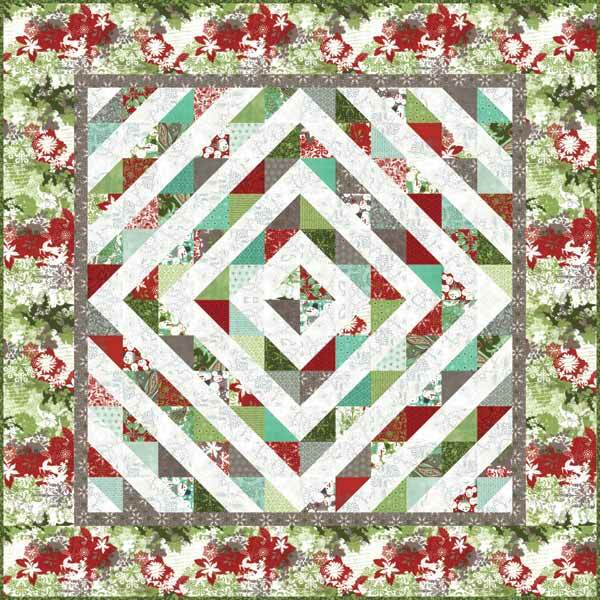 We will post the winner here, on our blog, and also email the recipient of the quilt kit. Good luck to all our Blog Followers! HO HO HO! 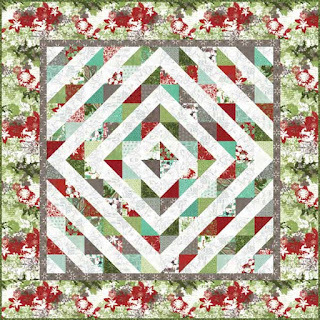 It's Blitzen by BasicGrey for Moda! Yes, it's Christmas in August! Christmas has arrived early at Country Quilts and Bears! Day after day the UPS truck has been unloading box after box, and we ran out of room to stash our Christmas fabrics, sooooooo since the cat's away, the mice decided it was time to play!!! We have pulled all the Christmas fabric out of the boxes and we moved the existing fabric around the store to make room for the new. We can't wait for you all to come by and see the loot! We are quite sure that a visit to our little corner of the North Pole will be just what you need to get your creative juices flowing. We are confident that this year will be the year that we ALL are ready for Christmas early!!! Oh, and there are only 143 days until Christmas, so get sewing quilters!!! HO HO HO!